The final plan (hopefully) is to buy a yacht and sail the world. We’re going to buy a sailboat, fix it up, learn to sail (kind of important) and go on an adventure. If you want to know why, read on. If you want to know how, let me know when you find out and if you don’t want to know anything then stop reading now. My Granny has always been a bit of an inspiration to me. I have fond memories of her letting us drop crusts on the floor to feed to the mice, putting way too many sugars in our cups of tea and of playing huge games of hide and seek around her village. She did the naughty things that only a Granny can do. Above her dining room table there was a painting of a wave, a huge curling wave with a white frothy top and a million shades of blue and white. I loved that painting. While I ate I would imagine adventures at sea, with that wave looming above me. I would imagine what it must have been like for her when she sailed across the Atlantic. It filled me with awe and terror and longing. I wasn’t old enough to really understand what sailing the Atlantic meant, I just knew that she had seen things and done things that I could only dream of. I wish she was still alive now, so that I could ask her all the questions I should have asked back then. My Auntie can sail. I have a vague memory of her taking me out in a little sailboat when I was very young and an amazing time out on her boat in Cyprus a few years ago. By taking a days sail course on a nearby lake I learnt the basics, and although I didn’t understand much I was hooked. I signed up to take my competent crew course feeling sure that we would be blessed with the heat wave we’d been having over Easter in previous years. Unfortunately I was SO cold that I don’t remember much else from the course. I’m not sure I managed to tie a single knot correctly due to the five pairs of gloves I was wearing and ropes and sails remain a bit of a mystery. Unfortunately my plans to make use of my course never materialised and I was left feeling deflated, disappointed and sick with jealousy at hearing of other peoples sailing adventures. I tried to put that dream to bed. We are planning to sail the world on a yacht. going on a sailing travel adventure. We plan to sail on a sail boat around the world. This will be an adventurous way to travel. We want to travel by sail boat because it is our plan and our dream. We hope this plan of a sailing travel adventure will be exciting. On our sail boat we hope to visit spain, greece, croatia, italy, france and lots of other places in europe. I met Adam on a beautiful sunny day at the end of May (see, Spring IS usually sunny!) We spent most of our eight hour date talking about travel, where we had been, where we wanted to go, what we wanted to do. If I had already told Adam about my previous efforts to learn to sail I might have thought he was trying to impress me when he said he wanted to sail around the world. In fact, I’m pretty sure I went home and scoured the internet to make sure there was no way he had gleaned this knowledge in some way. He was doing the ‘adult thing’, working at a decent job in London to make his millions (haha) so that he could afford a sailboat and sail the world. What an amazing dream. Because that’s what I thought it was, and dreams don’t really come true. Two weeks after we met we booked a last minute night in Majorca. Adam won me over with his fluent Spanish, and a few sangrias. We stayed on a sailboat and pretended it was our home. Where ever we went we sought out marinas, walking up and down the rows of sailboats, discussing which one we would get for our big adventure. We spent our evenings watching sailing videos and reading blogs. By watching blogs about planning a sailing adventure and blogs about travel we learnt that we could plan a sailing adventure. We wanted to go on the sailing adventures that these other people had gone on. Planning to sail would make this happen. I don’t know why our first plan when we quit work wasn’t sailing. It seemed so out of our reach. We couldn’t afford it, we couldn’t even sail. We looked at doing courses and very quickly realised we would have to sink thousands of our budget on a few weeks worth of lessons. Then we found crewbay, a website where people look for crew to help out on their boats. We set ourselves up and started seriously searching. After weeks of looking we became a bit demoralised. Most people wanted roughly $10 a day, each. For those of you out there that can’t add up, like me, that made it $140 a week and $560 a month. Then we’d have food to buy, the occasional trip, it was starting to add up. We’d be home and back to work in a few months. But what if we had our own boat and could set our own budget? After a lot of reading we found people who were living on a sailboat on £500 p/m. I have no idea if they’re making this figure up, or if they’ve got really good at bin raiding, but I’m keen to find out. If this really is possible, then perhaps we can go with no time limit. If it isn’t, we’ll have an amazing few months trying not to sink a boat. Maybe I will get to answer those questions I should have asked my granny years ago for myself. It seems like a risk worth taking. 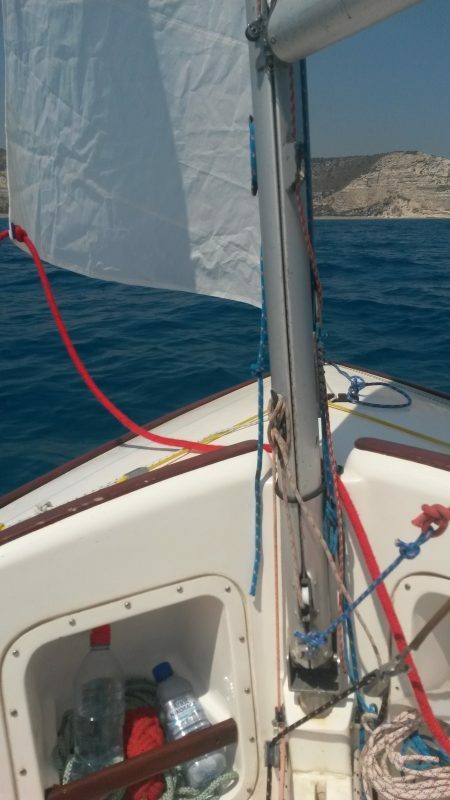 We had an amazing time on a sailboat in majorca, spain. 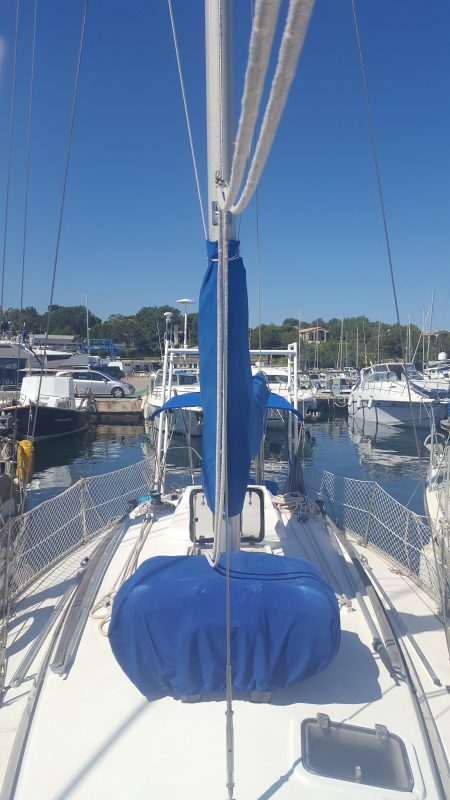 We were planning to sail in spain and wanted to buy our own boat and travel to majorca, spain in our own boat.